Synopsis: Friends since childhood Jess and Milly can’t remember a time they didn’t share everything – secrets, clothes, even boyfriends, their differences are the glue that binds them together. That is until Milly is hit with the life changing news and needs Jess’s support more than ever. Director Catherine Hardwicke [Twilight (2008), Thirteen (2003), Red Riding Hood (2011)] and writer Morwenna Banks take a frank and witty look at female friendship and the more difficult area of breast cancer. 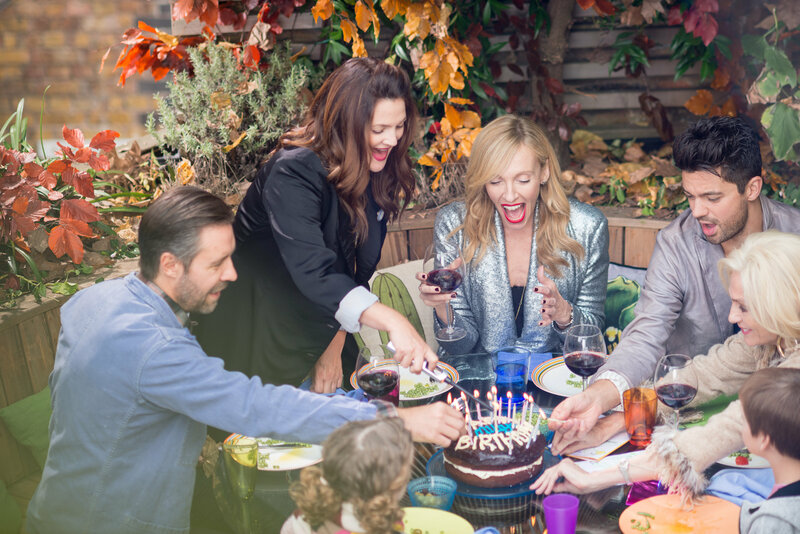 Milly (Toni Collette) and Jess (Drew Barrymore) have been best friends forever. They’ve shared everything since they were kids – secrets, clothes, laughs, substances, boyfriends… now they are trying to be grown-ups. Milly has a high-flying job and lives in a beautiful townhouse with husband Kit (Dominic Cooper) and their two children. Jess is a town planner and she and her boyfriend Jago (Paddy Considine) live on a bohemian houseboat on a London canal. Their friendship is as rock solid as ever. That is until Jess struggles to have a much longed-for baby and Milly finds out she has breast cancer. With a superb ensemble cast and two exceptional performances from Drew Barrymore [Everybody’s Fine (2009), Going the Distance (2010) Blended (2014)] as Jess and Toni Collette [Muriel’s Wedding (1994), Little Miss Sunshine (2006), A Long Way Down (2014)] as Milly. Although it’s a love story about female friendship with lots of tear-inducing moments it avoids obvious clichés because of the depth and complexity of the characters. It could feel dull and overly familiar territory but there is a freshness and honesty that rewards the viewing, with some smart, one liners.